2018 has been an interesting year for Total Geek Live. It’s surreal to believe that the show is getting ready to head into another year after its start in 2017. 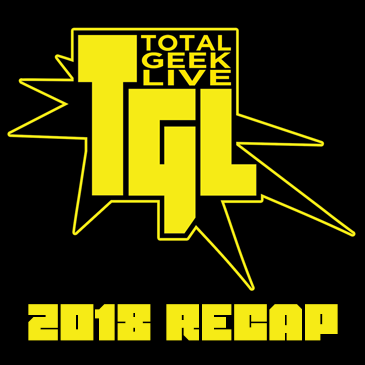 Total Geek Live has had another busy year full of guests, events, reviews, and new ideas, and in moving forward into 2019, let’s take a look back at what 2018 brought forth from your TGL pals. January started with Indiana Jones in our retro themed 19XX episode, and we carried on strong with a variety of episodes including a surprising interest in Disney’s take on Zombies, the closing of Toys R Us, and the Robo Force and Starriors toy lines, which led to another great opportunity. Speaking of which, a special thanks to John Kent of Toyfinity and Toby and Geneva of Marquis of Vaudeville for being part of our “TGL Talks” series. Total Geek Live also hit the convention circuit this year, covering Pensacon, Fan Expo Dallas, and A-Kon, highlighting fellow geeks from around Florida and Texas. We also celebrated the indie focused Movie Game Jam, highlighting developers showcasing their own creative spins on popular movies. Our regular content highlighted some of the best in current movies and comics, including a regular (monthly-ish?) series based on the universe changing Doomsday Clock series from DC Comics. 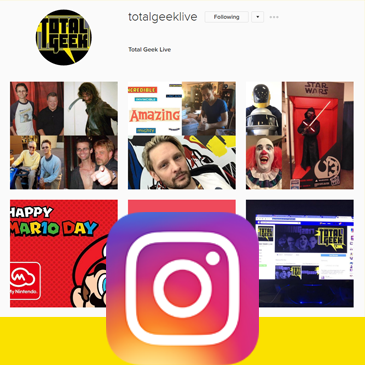 Total Geek Live even tried its hand in exploring new show possibilities by focusing on the “live” part of our namesake, and shifting much of our show’s broadcasts to Mixer. 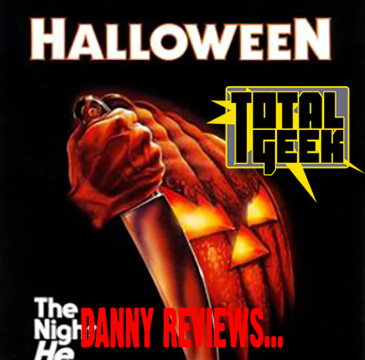 Our content was a mix of new and old, still keeping the Trailer Trashin’ series, while giving a chance to show the Geeks at play with board game nights and featuring some of the weirdest videos the internet has to offer. We even launched our Patreon site for fans that wish to support our upcoming projects. Never fear! Popular favorites such as The Geeks Review and 19XX are still available, as the crew focused on Gremlins and Spider-Man: Into the Spider-Verse to wrap up the year. And of course, we said good-bye to comics icon Stan Lee. October was a true milestone event for TGL history. The Total Geek Live crew came together and did a full live show back where it all began in Corsicana, Texas. Thanks to Nic Davidson of OilTown Comics, the Southern-style fantastic four gathered together in one room, greeted fans, gave away prizes, and did a live event in a comic book shop. If there was ever a fitting venue for the group to gather under one roof to do a show together, this was our personal Castle Grayskull. And we appreciated this year’s support from Michael Kormos and Deanna Kirk via the Corsicana Daily Sun. So what does all this mean for 2019? The new year looks just as busy as this past one. There’s the conclusions to the Avengers: Infinity Wars and Star Wars Saga storylines. New movies like Toy Story 4, Dark Phoenix, and the new Spider-Man and IT sequels. New video games such as Mortal Kombat 11, Animal Crossing, Marvel Ultimate Alliance 3, and Metroid Prime 4 loom on the horizon. The Doomsday Clock comic series should (odd publishing schedule pending) wraps up its senses-shattering conclusion this next year. The Orville is about to start a new season. New conventions, new projects announced at Comic-Con San Diego and E3, new collectible items. New…. Okay, you get the point. Total Geek Live is not at a loss for things to talk about in the coming year. We’re just as excited as you to see what the future of pop culture is going to bring us, just as much as we are excited to present them to you in our own inimitable style. So that ends with this one last question: What do you want to see from us next? Is there a specific movie, game, or comic that you would like us to feature? Is there someone that you think would make for an interesting TGL Talks? Is there a favorite show of ours that you would like to see us focus on more, or are there some new ideas that you like to see from us? No matter how you spent 2018, for Total Geek Live, it’s still… all geek to us. And we couldn’t have come this far without your support, so “Thank You”.